Kate Spade treated me to a very special handbag to get me ready for Fashion Week. 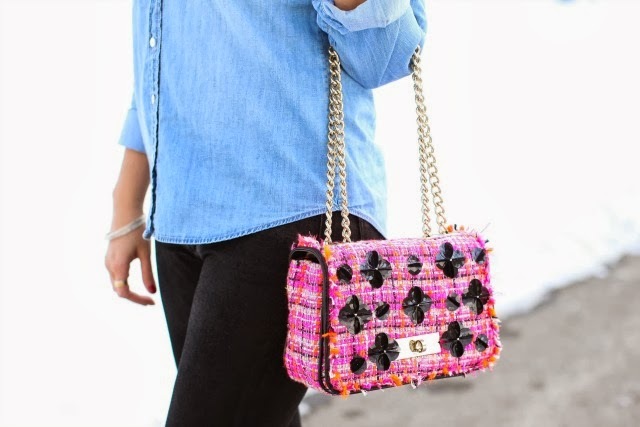 I got my pick from some incredibly fabulous styles and I narrowed it down to this gorgeous tweed and leather shoulder bag that I think makes quite the statement (and will definitely be coming with me to Aruba this week.) So, for day 4 of Fashion Week, I decided to take my new handbag out for a spin along with my shiny red heels, also from Kate Spade. 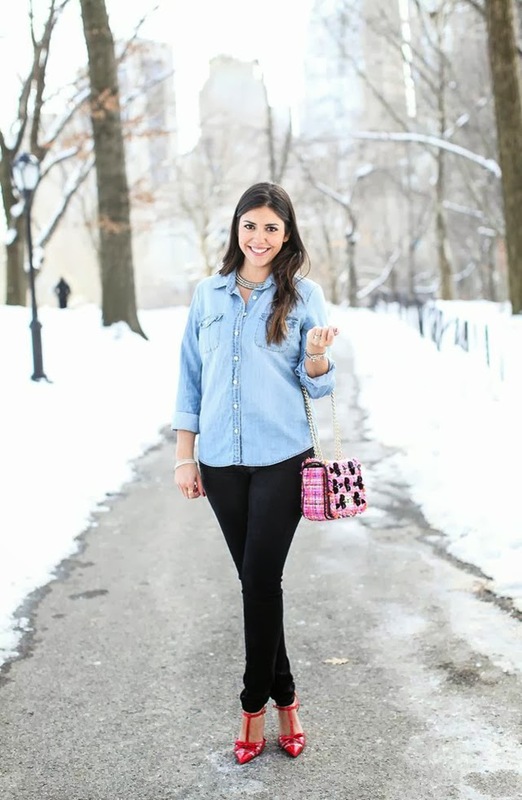 Paired with a simple chambray shirt and black, coated skinny jeans I let the bag and the shoes be the focal point and I think they stole the show. Love the coat! And the bag was the perfect final touch! Love the print and details on the bag, love! You lucky girl! That bag is amazing!! that bag is so cute!! I love it. I bet you will get so much use out of it. 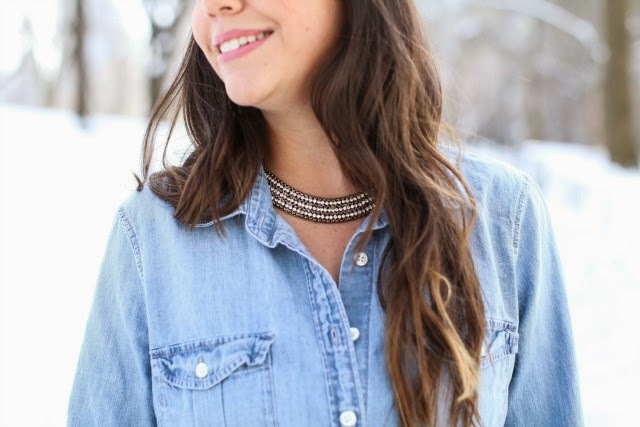 Gorgeous handbag, but I am even more in love with this perfect chambray shirt! Such a great look overall, the accessories made it so stylish and fashion week appropriate!